Color can be of the most important elements of a successful digital image. 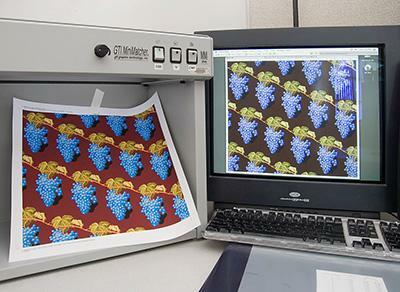 This makes accurately communicating color essential to the imaging process. 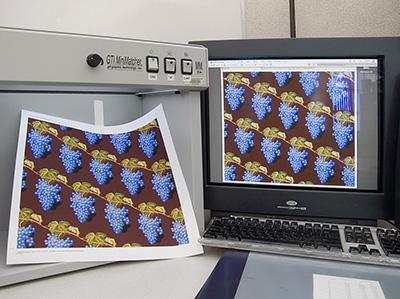 While this might seem to be a straightforward process, in practice we often find that maintaining the appearance of a digital file across different printers and monitors can be difficult or even impossible. Sometimes this is due to the inherent limitations of the devices in question. In most cases however, the file can be adjusted to print or display correctly on each device. If this is true then the issue is not a device limitation but one of inadequate color communication. One would expect a file to retain it’s general appearance across a variety of devices without adjustment, but this is rarely the case. This problem is the reason that digital color management exists. The system for digital color management that is in use today began as an Apple Macintosh project called Colorsync. Because a color communication system is of limited use if it is used by only a limited number of computer systems, Colorsync was eventually spun off into a non-profit platform–independent standards organization. This organization is called the International Color Consortium, or ICC. The group currently develops and maintains virtually all standards related to digital color management, and today “ICC” is nearly synonymous with digital color management. with proper ICC Color management. At its essence, color management is about color communication. Colors are “translated” from one method of display or printing to another. In order to use color management, we must understand some basic digital color communication terms. The most basic of these concepts is the idea of using color modes, which are also called color models. Since almost any color can be made from a mix of three well chosen primary colors, color modes typically describe colors in terms of three attributes. This is known as tristimulus color and the three attributes used by a color mode may be actual color primaries or theoretical axes in a three-dimensional space or graph. RGB is by far the most common color mode and is the native color mode for nearly all of today’s input and display devices. RGB color in the digital world is defined by a set of three numbers that each range from 0-255. These numbers refer to the amount of red, green, and blue respectively used to make the color. The higher the number, the more of that primary (red, green, or blue) the color mix contains. If all three primary numbers are equal, say R50, G50, B50, then the mixed color is neutral- a dark or light grey. 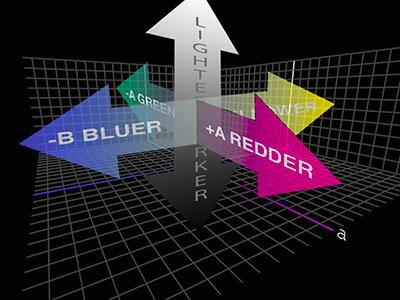 As with all RGB colors, higher numbers mean a lighter color. R255, G255, B255 is pure white and if you haven’t already guessed, R0, G0, B0 is black. The idea of sending color information as red, green, and blue signals goes back to the early days of color television. At that time, no one defined exactly what hue or shade of red, green or blue would be used. Since the RGB primaries are undefined, a color that is mixed from them also lacks definition. This is easily demonstrated at your local electronics store. 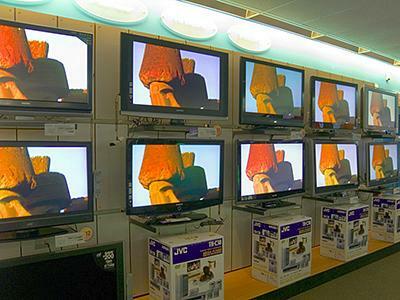 A wall of televisions each gets the same RGB signal, but each one displays color a little bit differently. This is due to each television using its own version of red, green, and blue phosphors. Unfortunately this limitation has survived into the digital age. Without color management each device displaying or printing RGB values is free to interpret the color in terms of whatever version of red, green or blue is available. Because the colors that RGB numbers refer to are somewhat ambiguous, we call color modes like RGB “device dependent,” meaning that the color specified literally depends on the device. RGB numbers by themselves do not refer to a specific “real” color. but displays color in a slightly different way. Obviously this presents problems for those of us concerned with accurately communicating color. As you might guess, device independent color modes exist. These modes use color numbering systems that have specific color meanings under a given lighting situation. The most commonly used of these is Lab. Lab describes a color’s lightness (lower “L” values are darker), red verses green attributes (positive “a” values are “red”, negative “a” values are green), and blue verses yellow attributes (positive “b” values are “yellow”, negative “a” values are blue). Lab color is based on how humans actually perceive color and can be measured in the real world by instruments such as spectrophotometers and colorimeters. These real-world strengths of the Lab color mode are offset by some significant challenges in the way that Lab is handled digitally. The hue axes of Lab, a and b, work as opponent pairs. To make a color more yellow for instance, you would add “b,” and to make it bluer you would subtract “b.” Many people do not find manipulating color in this way to be very intuitive. And since no digital devices can print or display a Lab signal directly, color information must be converted out of Lab and into a device dependent color mode in order to be used. Three-dimensional graph of the Lab color model.